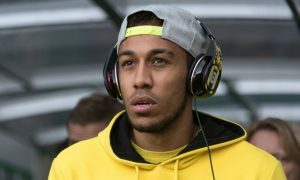 Despite indications from Manchester City that they have moved on from a deal for Borussia Dortmund forward Pierre-Emerick Aubameyang, there is ample evidence that a deal could still happen this summer. According to The Times today, Pep Guardiola is still interested in the 27-year-old, but any deal is dependent on Dortmund lowering their asking price. Paul Hirst reports in the article that Dortmund want £58 million for their prized possession and that despite a tough stance, there is a 65 per cent chance that he will leave the German club before the transfer window closes. 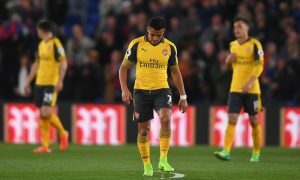 City have competition for one of Europe’s most prolific goal scorers of the past year, with Atlético Madrid reportedly having a bid rejected for Aubameyang after it ‘fell way below their £58 million asking price’. Despite market inflation and prices such as £30 million for Troy Deeney being suggested, City want Dortmund to reduce their asking price for the Gabon forward, and if they do that will reignite interest and could see a deal struck. The Times reports that City want to sign another striker to alleviate the pressure on Sergio Agüero, with Kelechi Iheanacho far from the finished article and Wilfried Bony likely to leave this summer after a disappointing stint in blue. That makes it quite possible that Aubameyang to City still has legs, and if not, that another striker could be pursued.